Educational training and Employment goes hand on hand. Where on one side the demand for more qualified and trained employees have increased from employers, the educational industries are also not behind in providing more trained candidates. Educational institutes have taken initiatives for providing additional certification courses and more of industrial experience by regular student-industry interaction sessions. Nowadays the competition are tough and hence student must have post graduation with additional qualification to project himself among others, hence courses like ERP, Six Sigma, financial certification courses are one of the way by which student can improve their skills in respective domain. Service industry expects candidates to be proficient in Microsoft office tools, SPSS etc and sometimes provide training to the candidates, which becomes an overhead for the company; hence they have now shifted it to educational institutes to train in basic software. Let’s discuss about the various courses which is mentioned aforesaid. If one talks about the ERP, the word sounds me more of implementation of IT. 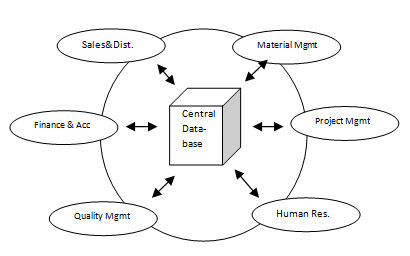 Being a non IT student, information technology is kind of nightmare, but once I go deeper into the subject knowledge, I realize the implementation of ERP has been across sectors which has tremendously reduced cumbersome and time consuming process, being it manufacturing, Human resource, marketing etc. ERP is a business management system which is used to manage and integrate all business function within an organization, being it cost accounting, sales & distribution, human resource, materials management, production planning, supply chain and customer information. ERP works for efficient supply chain and reduce cycle time. The application of ERP is not limited only to capital intensive industry, but nowadays it is also implemented to finance, health care, hotels chains, education, retails chains, and telecommunication sectors. ERP software market is one of the largest IT investments worldwide. ERP coordinates with internal and external operations of an organization, which ultimately helps in inventory management, reduction of working capital, large database of customer experience. ERP causes reduction of overhead cost in inventory management by 15 - 35%. 6 σ has become the buzz word in after Jack Welch launched it in GE in 1995. The concept of 6 σ is introduced by Bill Smith “Father of 6 σ” in year 1986. It is considered as the most powerful quality improvement methodology in the world. The implementation of 6 σ gives financial benefit, quality, competitive advantage and customer satisfaction. The concept of 6 σ works on the number of defect in PPM (parts per million). Six sigma certified companies boast of reducing the number of defects to 3.4 in every one million of finished goods. 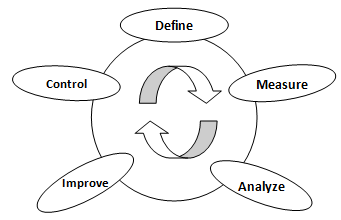 The 6 σ roadmap is through DMAIC model. The famous Mumbai Dabba Wala is a certified Six Sigma organization. Green Belt trained employees implement six sigma under the guidance of Black Belt and supports them in achieving the overall result. Black Belt employees operate under Master Black Belt to apply 6 σ methodologies to specific projects. They primarily focus on six sigma project execution. Mater Black Belt acts as an in-house expert coach for organization on Six Sigma. CPF is a certification course, provided by Financial Planning Security Board (FPSB). A financial planner looks at the needs of an individual including budgeting and saving, taxes, investments, insurance and retirement planning. FPSB is a public-private enterprise, which work proactively for guiding the development and promotions of defined standards. FPSB India closely works with all the stakeholders’ viz. the Government, the Regulators, the Industries/Associations, the Corporate, the Media and the General Public to achieve its objectives.